Classroom Freebies Too: Transparent, Translucent, or Opaque? Do you study transparent, translucent, and opaque materials? 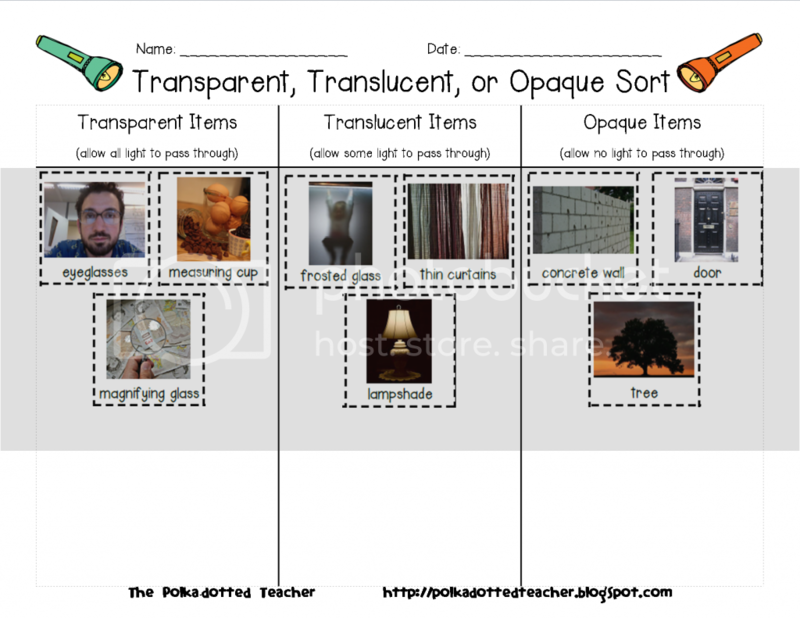 Click on the picture above to get a copy of a sort activity that will help your students evaluate whether materials are tranparent, translucent, or opaque.